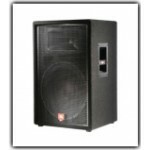 Depending on your criteria, you may want a passive or active speaker. A passive speaker is non-powered, hence you will need an amplifier. If you choose to use an active speaker, also known as a self-powered speaker, it comes with a built-in amplifier. 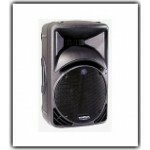 The benefit of a self-powered speaker is that it is plug-and-play and perfect for a mobile DJ or for presentations.